Quarterspot is a small business loan provider that lends anywhere from $5,000 to $200,000. Even borrowers with less than perfect credit histories can apply for financing for terms of up to 18 months because loans are made for businesses with healthy financials. If you do need access to cash to plug a hole in your company’s financials, Quarterspot may be a good solution, provided you have a personal credit score above 550. For borrowers with stellar personal credit scores, it is worth shopping around because you may be approved for even lower rates. 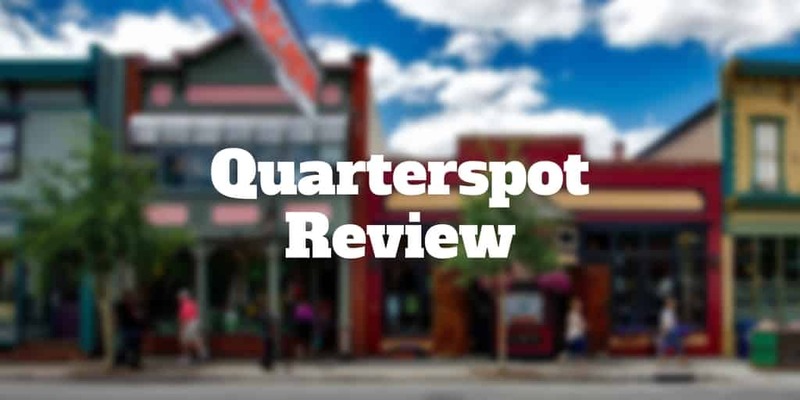 Is Quarterspot Right For You? Quarterspot is especially attractive to borrowers who need access to cash in a hurry. In as soon as one business day, you could be approved for anywhere from $5,000 to $200,000. But the speed and convenience comes at a price, which is high APR rates that range from 30% → 70%. If you are a small business that needs working capital, Quarterspot offers loans for 9, 12 and 18 month terms. And if you find that you don’t need to hold the proceeds for the full loan term, you can pay back the loan early without being hit with prepayment penalty fees. Not all short-term small business lenders have zero prepayment penalty loan offers, so Quarterspot shines in this area compared to its rivals. In general, it is good practice to pay off loans ahead of schedule if you can afford to do so because it saves on interest charges. However, as a business owner it may be more valuable to have cash on hand short-term to finance salaries, marketing costs, or other expenses even if it means paying more in interest costs. Quarterspot may be a good fit for you if you have a low credit score, provided it is above 550. If you have an excellent personal credit score, above 750, you should consider other loan providers, such as Kabbage, who may offer lower annual interest rates. The minimum loan term is 9 months and the maximum loan duration is 18 months so Quarterspot may be right for you if you have short-term financing needs, such as paying for working capital expenditures. However, if you expect it will take longer than a year and a half to pay back your small business loan then another lender may be a better choice. Unlike traditional lenders, who focus primarily on credit scores to make decisions on interest rate charges, Quarterspot examines your bank transactions. By scrutinizing your income and expenses directly, Quarterspot gets a better read on your company’s true financial situation. It’s a more accurate picture than a credit score because it’s possible you have a low credit score but strong financials which warrant a more competitive rate. Equally, it’s possible that a high credit score is misleading if business financials are weak. So, Quarterspot can more accurately assess the risk of loan default and specify an APR rate accordingly. Quarterspot is ideal for businesses who need short-term loans in a hurry and are willing to pay a premium for access to cash. When you apply for a small business loan from Quarterspot, your business serves as the collateral. If you believe there is any serious risk of not paying off the loan in a timely manner, consider other lenders who provider longer durations or lenders who don’t require personal guarantees. Quarterspot will generally disqualify applicants who have a history of bankruptcy in the past couple of years, whether personal or business. Quarterspot is best for borrowers who need money fast. But the convenience comes at a price of high interest rates and a personal guarantee requirement. ✅ No Prepayment Penalty: You can save on interest costs by paying off your debt early without incurring any penalty costs. ❌ High Fee Rates: APR rates range from 30% to 70%, so shop around to see if another provider, such as Nav, may offer lower rates. ✅ Fast Access To Cash: In as soon as one business day, you can get access to cash. ❌ Personal Guarantee Required: Although Quarterspot loans are intended for small businesses, personal guarantees are required. ✅ Personal Credit History Less Important: Even if you have a low credit score, you may be eligible for a small business loan provided your credit score exceeds 550. ✅ Bank Statement Analysis: Your income and expenses from your bank statements are analyzed to more accurately assess the firm’s financial situation. ✅ Up To $200,000: Anywhere from $5,000 to $200,000 is available to borrowers. ✅ Short-term Loans: Loans are available for 9, 12 & 18 month terms. ✅ Fully Amortizing Loans: When you pay off your debt early, you will save on interest charges. Quarterspot is a small business lender that caters to customers with poor credit scores who need financing for terms of up to 18 months. You can borrow as little as $5,000 or as much as $200,000 and can repay your loan early without incurring any pre-payment penalty costs. Quarterspot doesn’t just use credit scores to make decisions on interest rate charges but examines your bank transaction history so it can get a better financial picture, but regardless of how strong your financials are, the APR rates are steep, ranging from 30% to 70%. The bottom line is if you need cash fast, Quarterspot is worth checking out but if you have a decent credit score and time on your hands, consider rates offered by other lenders to make a more informed decision.